Watch out, there is a beast of a blizzard coming through courtesy of Frank Montano and his new BlizzardBeast Janky! 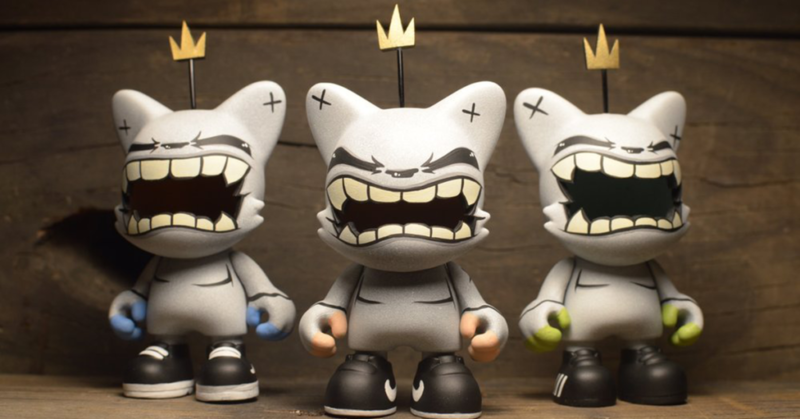 These custom 3.5inch Janky have been given the BlizzardBeast treatment by Frank and are now available for pre-order. Available with three types of sneaker – Vans, Nike & Adidas – Frank will also allow you to choose the colour of the accent on the hands. Seen in the pics within this post is the blue, lime and orange accents added. You’ll need to note the colour when you place your order. BlizzardBeast Janky are priced at $125 (£97) + shipping. You can pre-order yours HERE.